Available for pre-order. Estimated shipping: 1. June 2019. 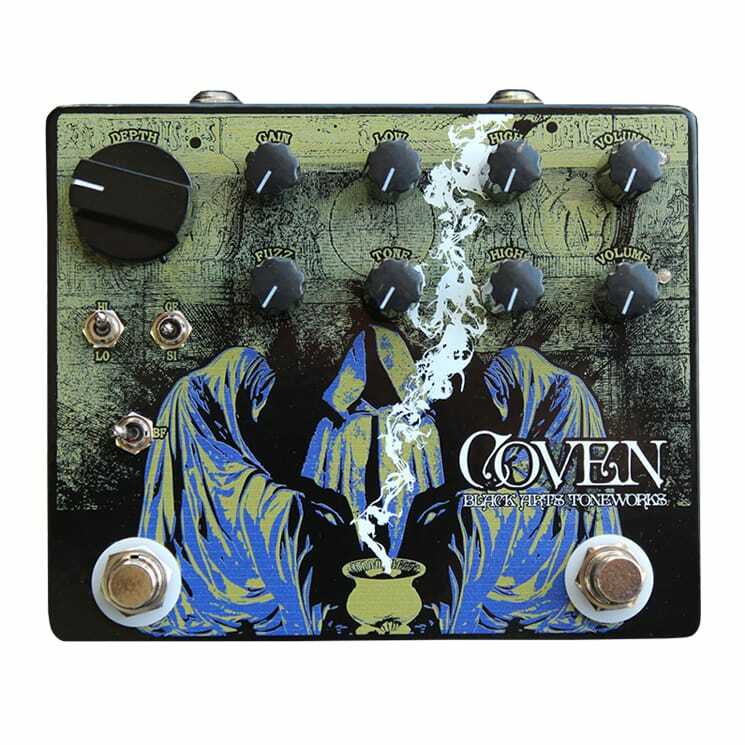 Hybrid of the iconic Tube Screamer and Vemuram's Jan Ray. 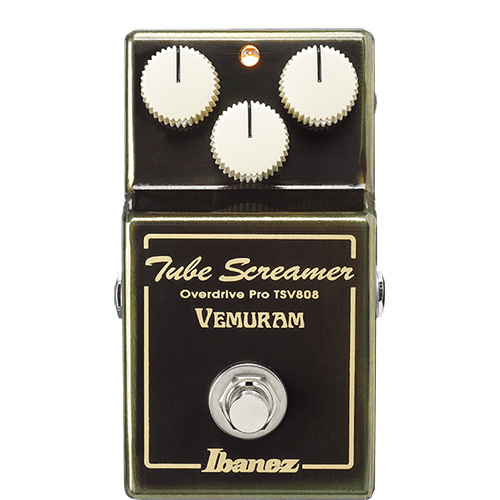 The Ibanez TSV808 was developed in close collaboration with the high-end pedal manufacturer Vemuram. Vemuram has earned world-wide acclaim from the guitar playing public and an accomplished roster of endorsing artists for producing ultra high-quality effects pedals. 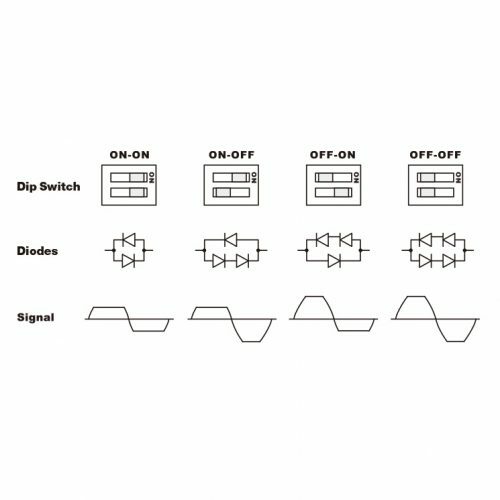 Vemuram’s pedals utilize top-tier components such as a quad-layered PCB and unique brass housings on all of their pedals. 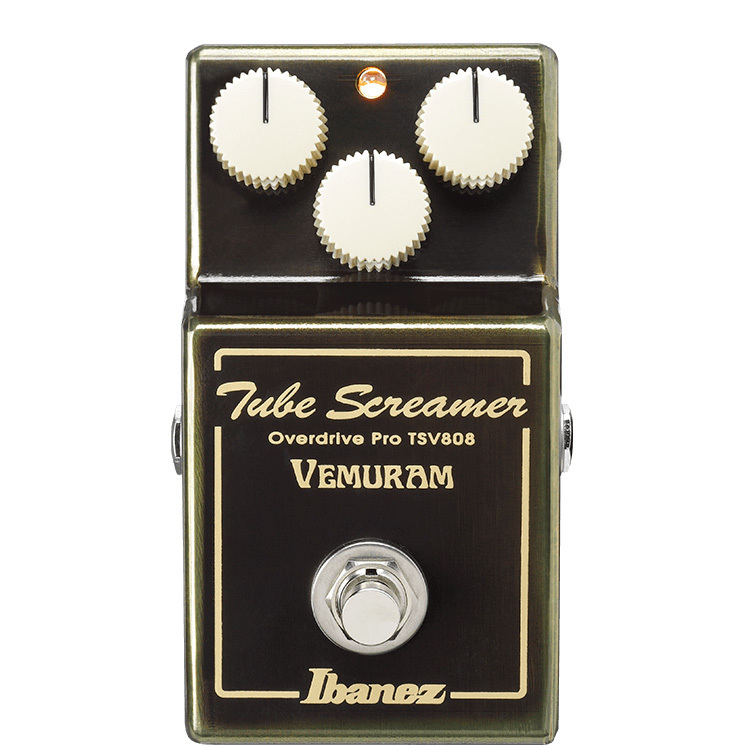 The inspiration for the TSV808 was a hybrid of the Vemuram Jan Ray and Ibanez TS808, each companies’ flagship effects pedal. 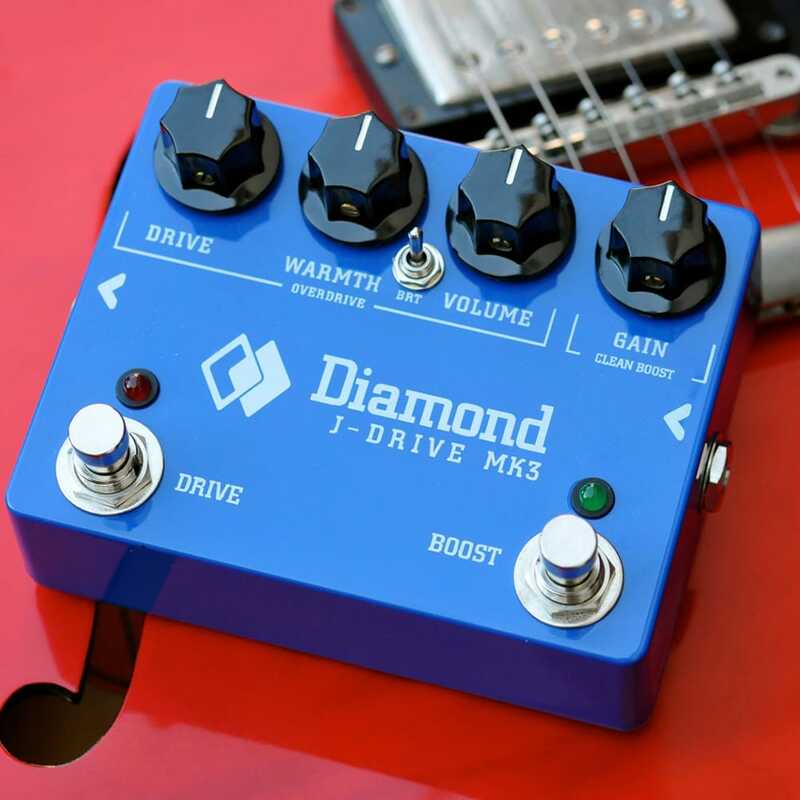 The process was long and the work intense, but the TSV808 successfully preserves the Tube Screamer’s signature mid-boost and combines it with the wide dynamic range and frequency response of the Jan Ray, for a freshly inspired, unbeatable new Tube Screamer that redefines superior overdriven sound. 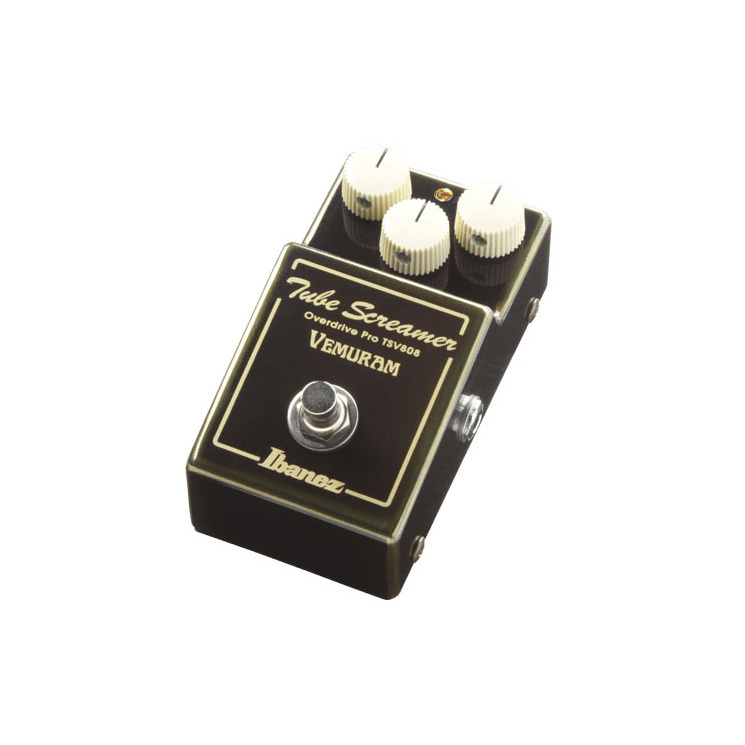 The TSV808 is comprised of some of the highest-quality, first class components available. 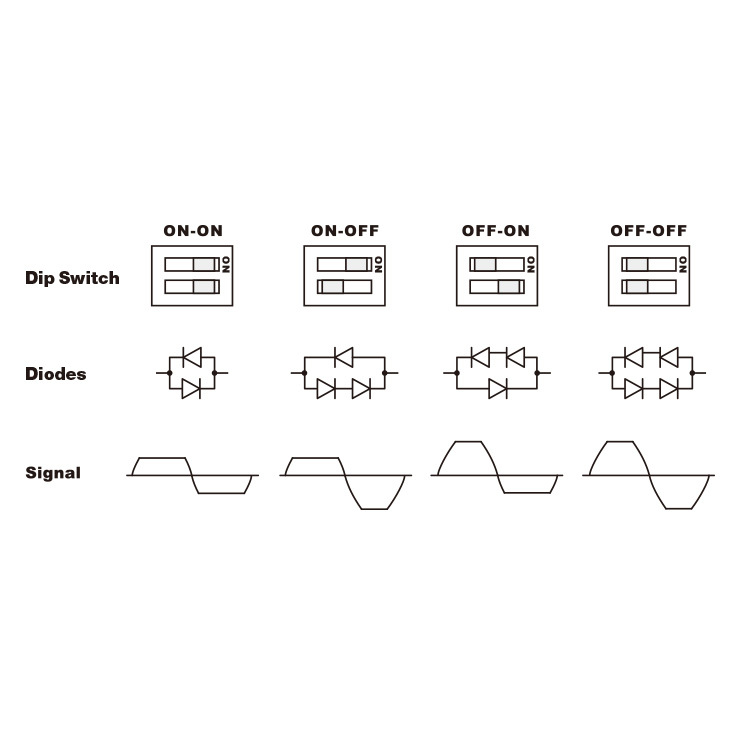 Each component was carefully selected by the engineers from both companies. 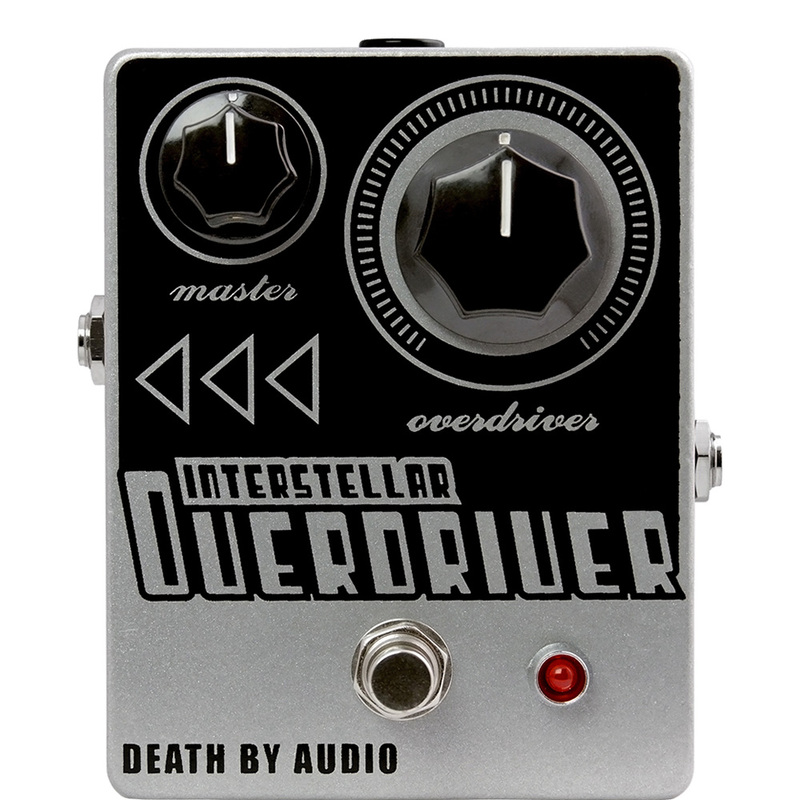 Including the customized parts, a quad-layered PCB used in the Vemuram pedals, and a brass pedal housing. 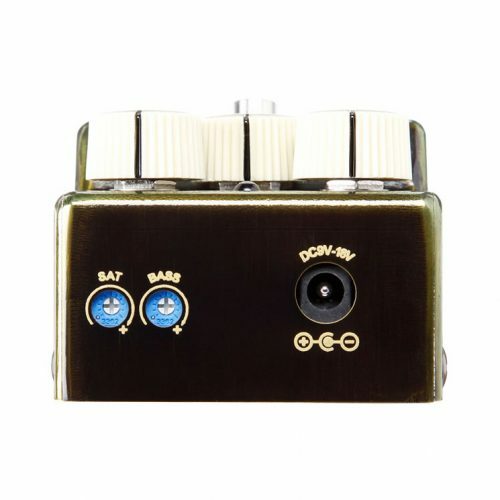 Each TSV808 features an all brass housing. The specialized work to craft these housings is 100% handled by expertly skilled Japanese craftsmen. Brass housings also provide the added benefit of natural shielding that eliminates unwanted noise, offering quieter operation.